My CIDESCO training and use of superior organic products means you can be guaranteed a luxurious experience. 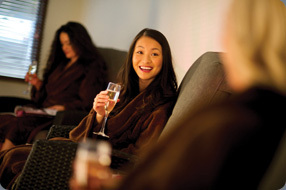 I undertake all treatments in a relaxing and unhurried manner ensuring you receive the ultimate in pampering. Say goodbye to prickly stubble with a Sugarina hair removal treatment, a superior sugar product that is both hygienic and gentle. I can remove annoying hair growth from your face down to your toes and you can enjoy smooth and hairless skin even weeks after treatment. 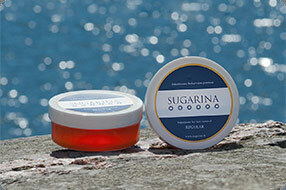 Regular sugaring also significantly reduces hair growth and is also suitable for sensitive skin. 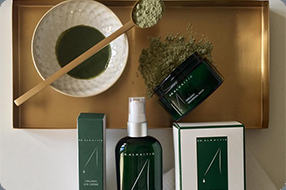 Choose from an organic Dr Alkaitis facial, which is like nutrient rich raw-food for your face, or the French natural cosmetics pioneer Phyt's, creator of outstanding products for over 40 years with amazing treatment lines for every skin type. Birthdays, hen parties, young mums in a group or a pampering evening with your best friend; no matter the reason, you and your guests will delight in amazing quality time together as I treat you from head to toe in an unhurried and relaxing atmosphere.